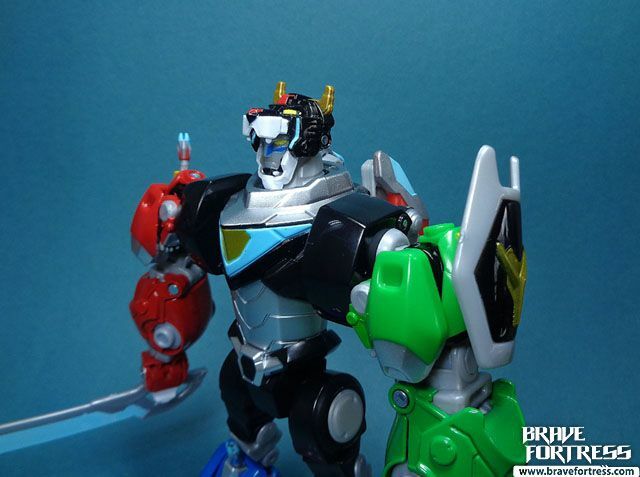 Voltron’s “ears” are permanently folded out, so there’s no way to fold them in for this one, sadly. 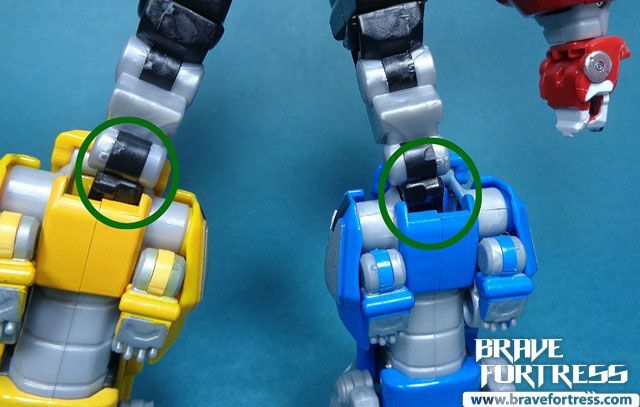 Black Lion does not come with any accessories. 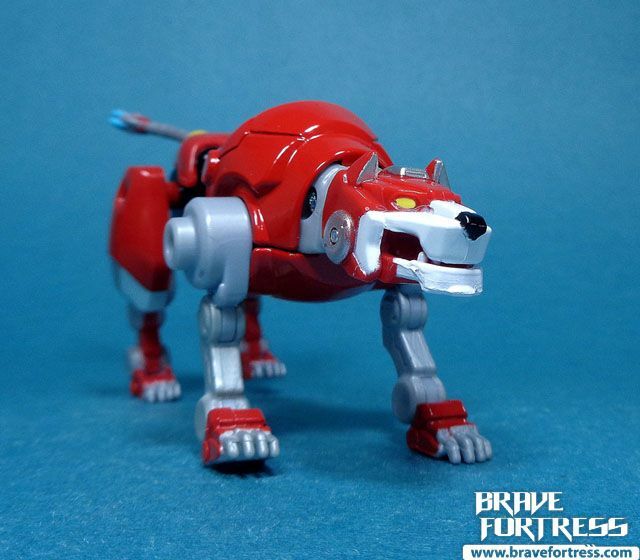 All of the lions come with good amounts of diecast and their legs all have ratchet joints. 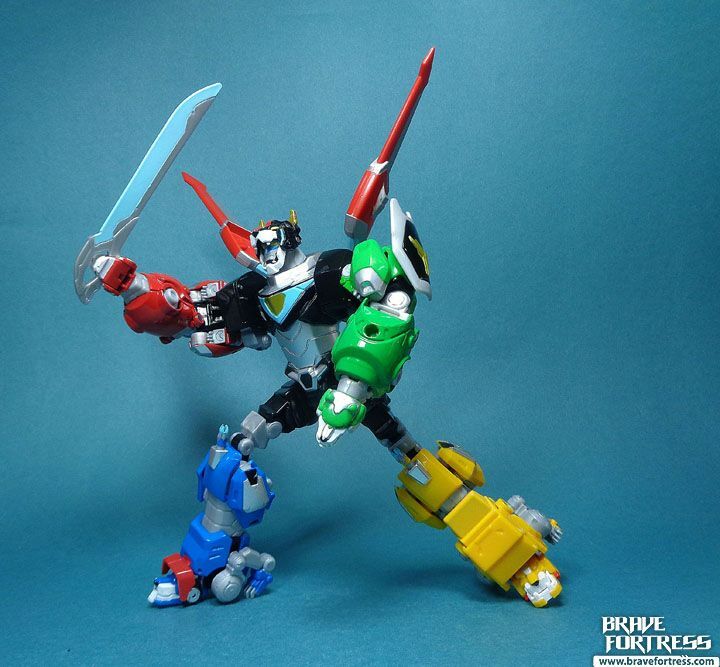 In the solo pack, Red Lion comes with Voltron’s sword. 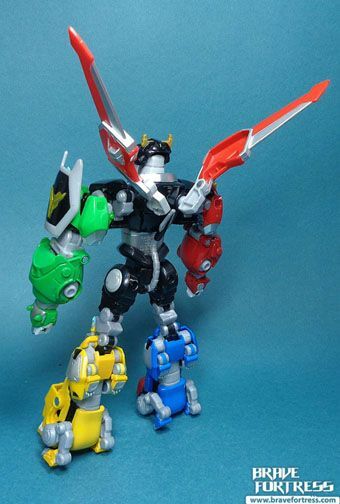 Both arm lions have spring-connected jaws for holding Voltron’s sword in combined form. 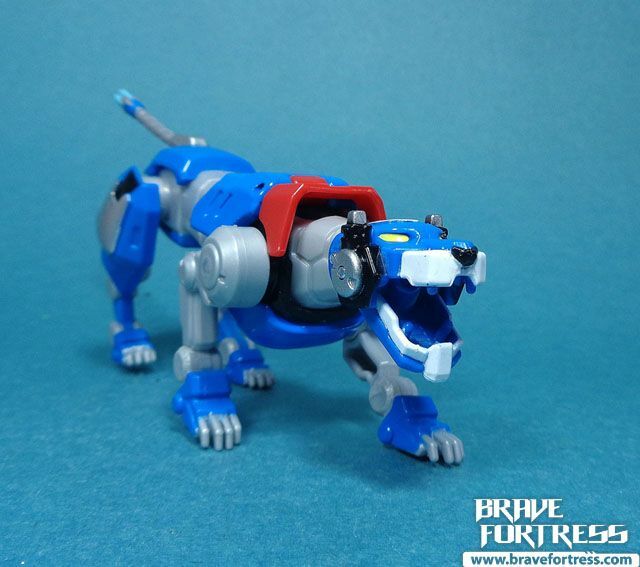 Blue Lion Does not come with any accessories. 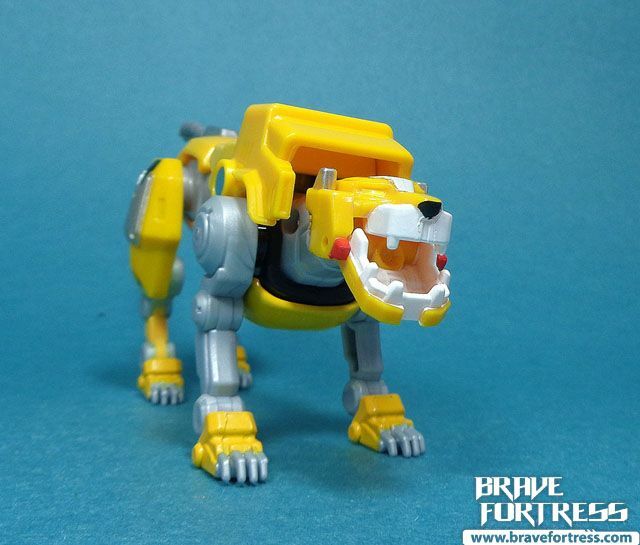 Yellow Lion comes with no accessories. 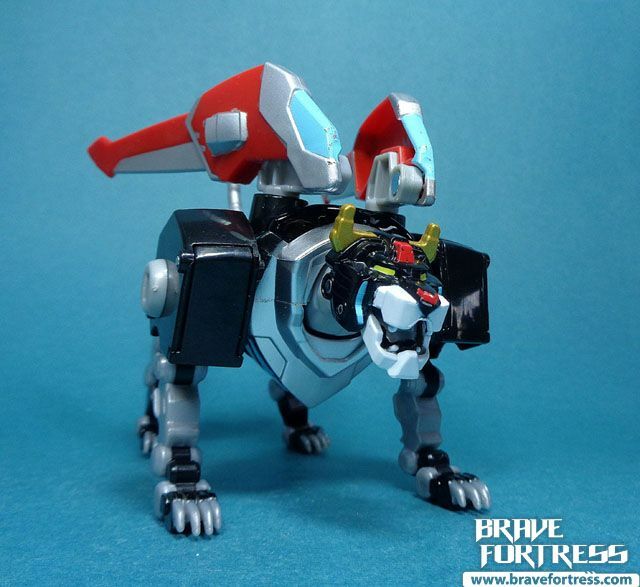 Note that the sliding plate on his dorsal side is meant to be slid into the forward position when in lion mode and retracted for when it’s in combined mode. 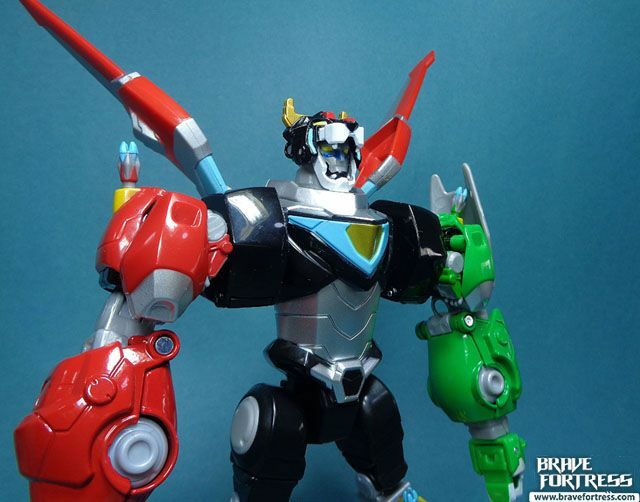 When they first announced this guy, I was super excited. The final product though is only so-so. It has diecast but not a lot of great engineering went into making this guy. 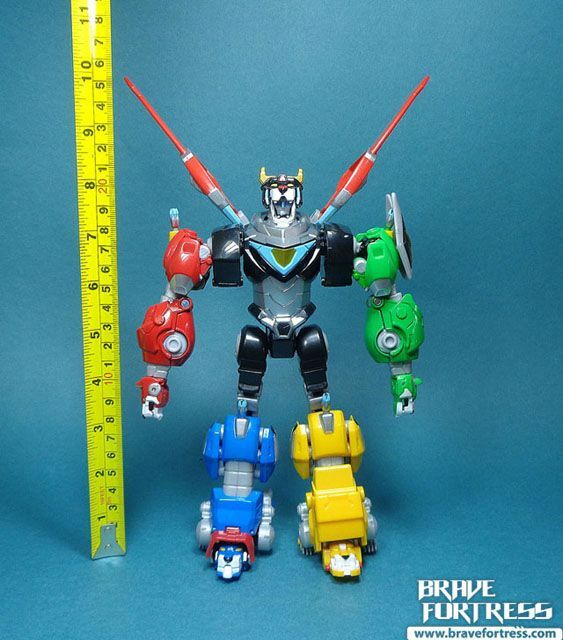 I also wish it came with more accessories. As is it seems a bit overpriced. I really have trouble connecting the legs in. They just keep pushing back out. Not sure what I was doing wrong here, or is it because the connection design is really that flawed? In the end I just gave up and let the legs rest as is, without really locking them in. It’s much worse for Blue than Yellow. 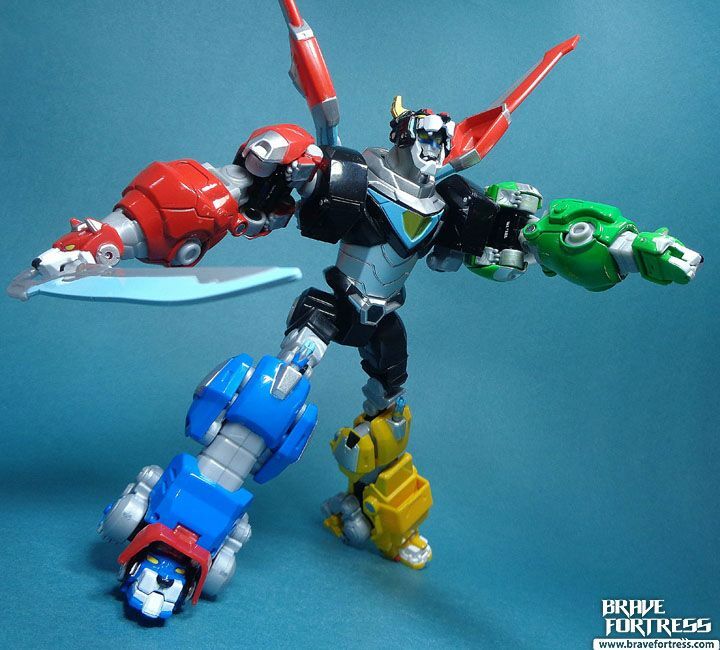 Oh well, at least it can pull off some mildly decent poses. The Lions span roughly over 5 inches long, counting the tip of the tails. 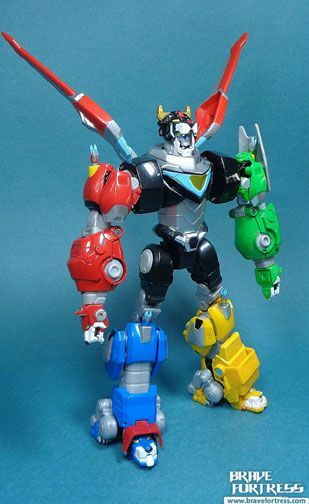 Fully assembled, Metal Defender Voltron stands roughly 8.5 inches tall (10″ if you count the wingtips fully expanded). Overall, yeah, it’s not terribly great and it comes at a somewhat steep price. 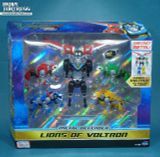 The 5 pack has the same toys as the single pack, and comes at the same price so getting them all in single packs or as one big 5 pack is all the same. 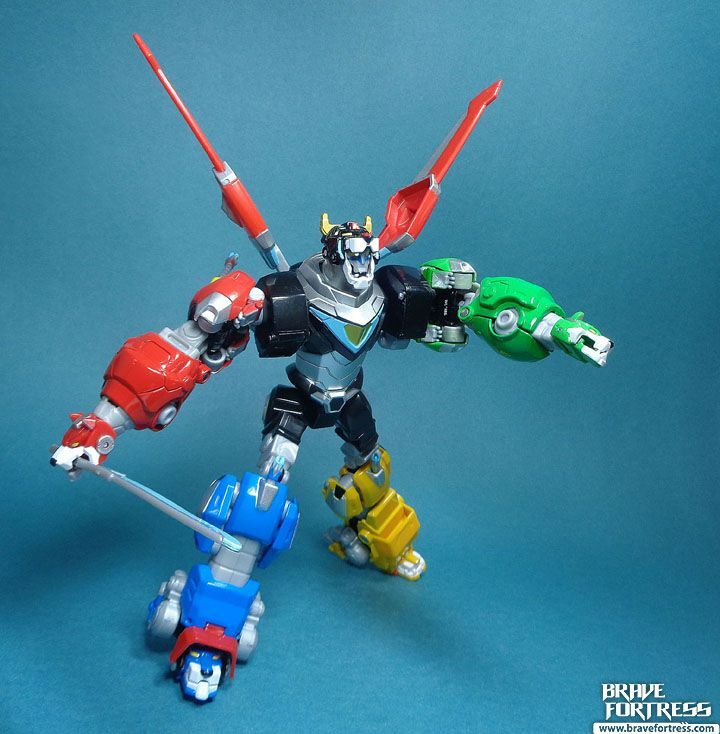 The toys have fairly good amounts of diecast and ratchet joints, the spring-connected jaws on the arm lions for gripping the sword is a great touch, but I do wish they could’ve at least made him able to turn his head. 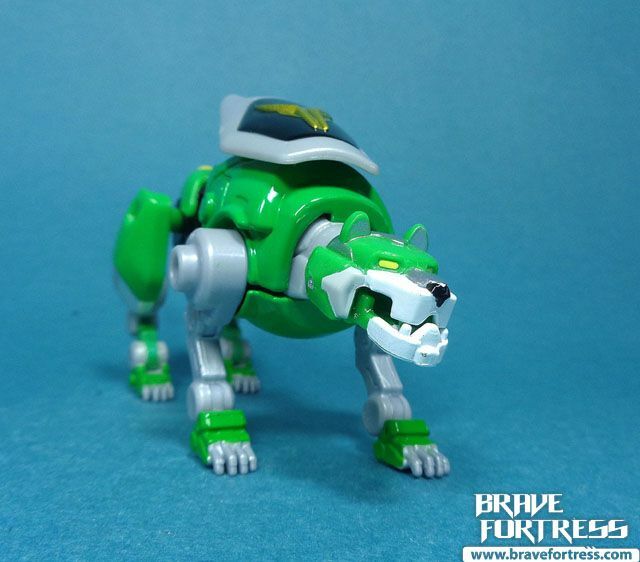 The worst part about this thing for me is the trouble locking in the Black Lion’s legs into the leg lions. 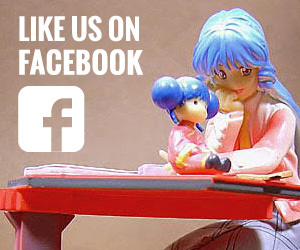 Engineering in this day and age shouldn’t be so flawed. 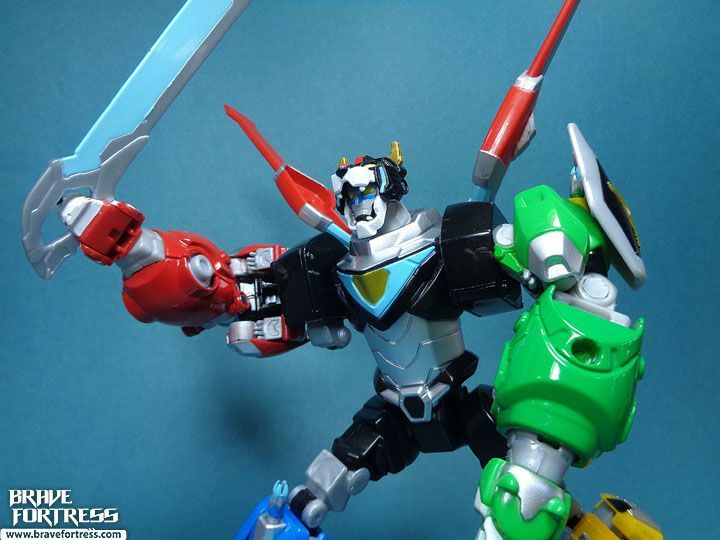 I don’t really recommend getting this guy unless you really love Voltron. 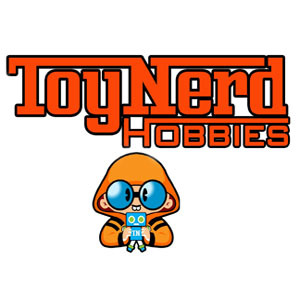 Here’s hoping some other company gets a hold of the license and makes something epic out of it.